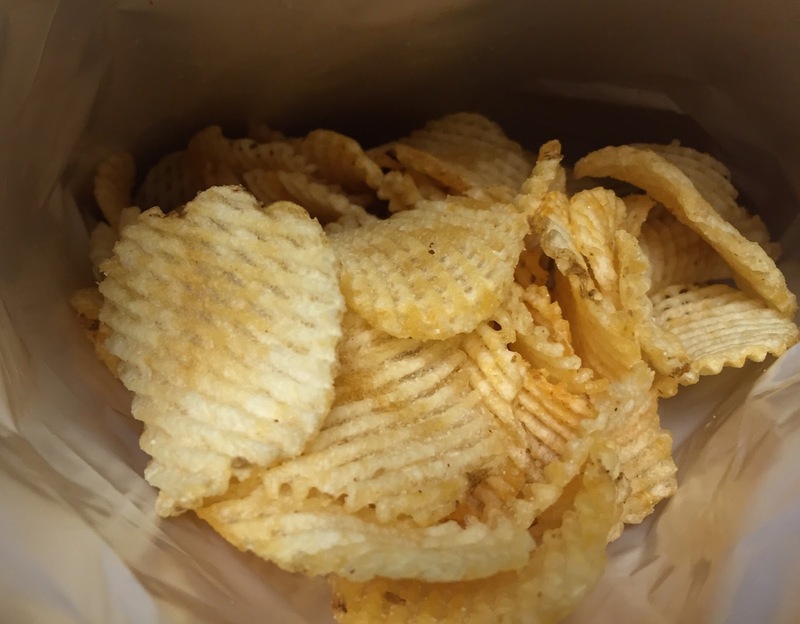 Trader Joe's Sriracha Potato Chips is lattice cut and kettle cooked, and i love kettle chips and spicy food, I thought this chips would be great. 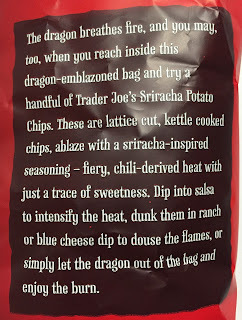 The dragon breathes fire, and you may, too, when you reach inside this dragon-emblazoned bag and try a handful of Trader Joe's Sriracha Potato Chips. 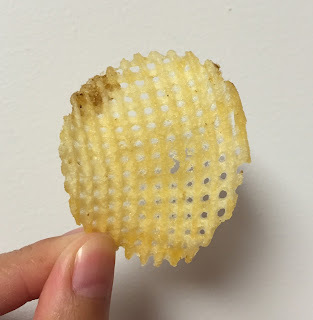 These are lattice cut, kettle cooked chips, ablaze with a sriracha-inspired seasoning - fiery, chili-derived heat with just a trace of sweetness. 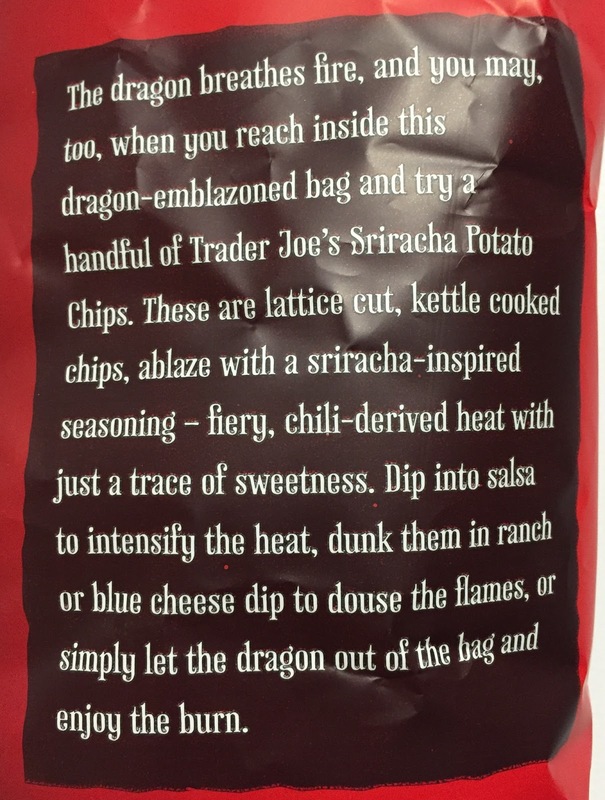 Dip into salsa to intensify the heat, dunk them in ranch or blue cheese dip to douse the flames, or simply let the dragon out of the bag and enjoy the burn. 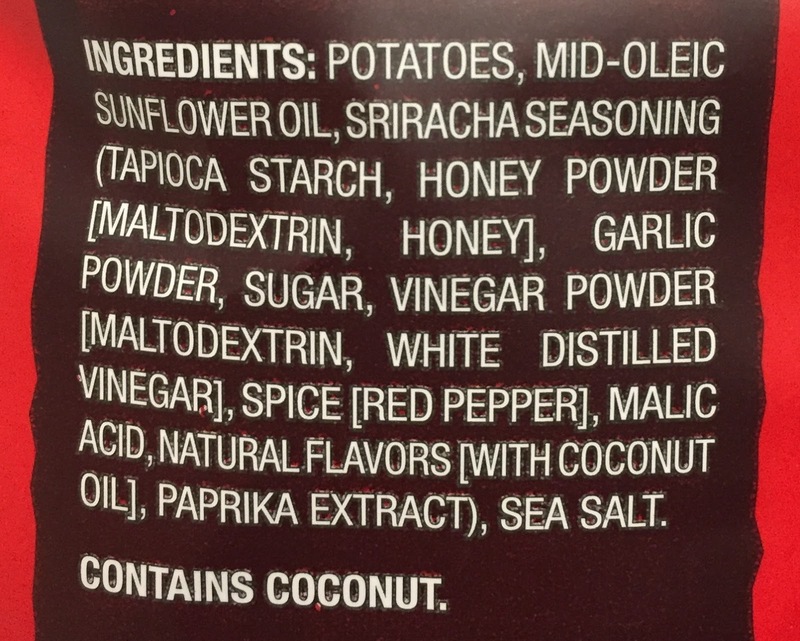 It didn't have much Sriracha scent when I opened the bag. Each chip was crunchy and crispy as it's lattice cut and kettle cooked, which could be my favorite combination. 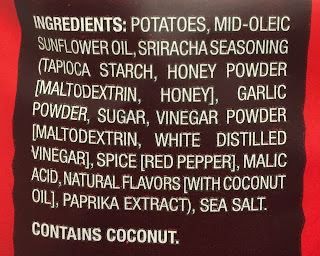 The potato chips tasted similar to soy sauce ramen, not sriracha, then it only had garlic flavor but no heat. The closer I got to the bottom, the more it started having sriracha flavor but it still didn't have any spiciness. It'd help the flavor even if you shake the bag well up and down.